Canton Beach, NSW, AU Looked good at first but soon died and swung SE 92 JP slalom 29 weedy then 112 JP Slalom 31 JP weedy 6.6 Koncept. Whatever! Heaps of the usual crew out. Alot of socialising and not much sailing. Christmas is over, I'm done being fkn social!!! Cmon Huey and Go Mighty Marauders. Welldone AGAIN Miller on the 16000 Ks. Pretty sure that would have to be 2 or 3 laps round your head, aaaaah ha ha, just jokin, welldone buddy and all fkn day man!!!!! Wallis Lake, NSW, AU. 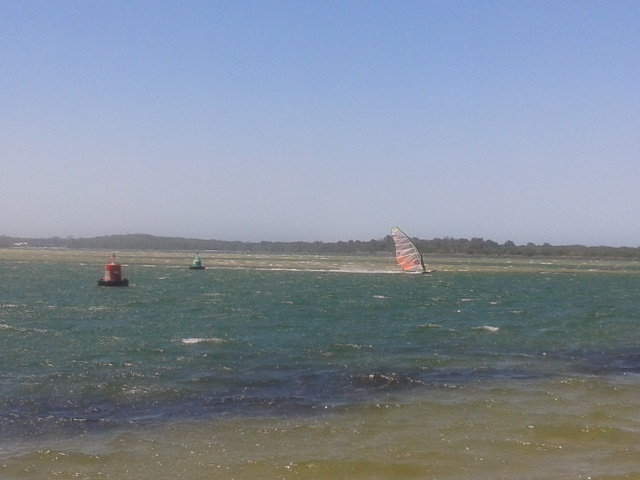 Quick sail with 6m GTX and Fanatic 102L, wind S/SSE 15 - 20, very bumpy inshore but smoother outside. Don't know what has happened but apparantly I can't gybe anymore as no alphas all year! Have to practice I guess. 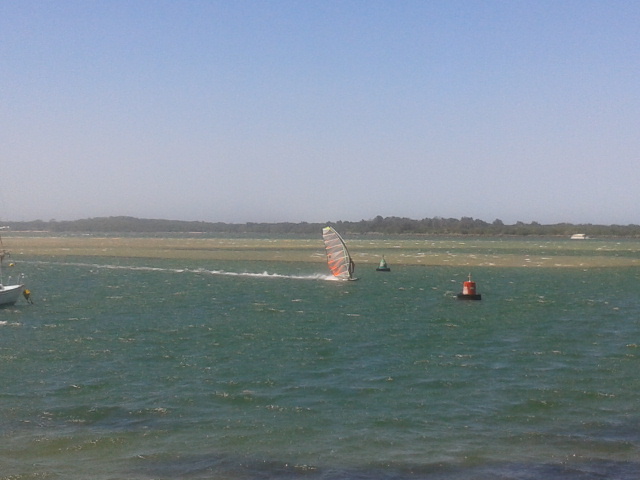 Southerly to SSE 15-20 with some 22k gusts.Highish tide and choppy with lots of weed made for two short sessions, with the second one being the better, but shorter. Happy with the speed. Wind swung more SE and tried for Smith's hoping for an arvo session. Didn't happen.Sailed with Chris, Pete, Geoff, Bill and Anton and Andre with a couple of blow -ins. Not a patch on yesterday. Wallis Lake, NSW, AU Consistent southerly, a fair amount of weed and a good day on water. Bumpy conditions. Slightly overpowered on the big 7.8m. Am not sure why I scored a 0 on alpha turn. Congrats on the k's Kostya, huge achievement!!! Mick, started on the XXXX's this arvo?? Absolutely Larko, slamin them down as we speak. Go GOLD!!! Hey Geoff, well done for all the recent PB posts, hope there's many more to come while you're here. Bet you didn't have to swim the little Manta home today. Awesome Milsy for covering over 16,000kms. thankyou all, i love windsurfing and the by product of sailing alot is clocking up the ks, its been a pleasure, sailing great conditions, with magnificent people around and being part of great gps team, thankyou,,,, ha, and i did most of those ks.......off the plain, c ya all soon,,,,,hey, and a few late well dones, a lot of people posting great numbers, pbs everywhere, nice one,,,,, hey larko, hows it going, and mmmmmmmmmm, a few laps around my biscep on my marvin haggler punching arm!!!!!!!!!!!!!!!!! Andre, Ran your file on Realspeed an put your results in!